The best of British converge on Northumberland on Sunday for the 2011 national road race championships. Last year’s winner Geraint Thomas became the first man since Sean Yates in 1992 to wear the white, blue and red jersey in the Tour de France and, with his selection for the grande boucle confirmed, the Welshman will hope to secure the honour for another twelve months. Thomas led home a Team Sky one-two-three in last year’s incredibly tough race in Lancashire, but Sunday’s rolling course – which takes in the same roads as the Beaumont Trophy – should contribute to a far more tactical affair. The outcome could well be similar, as all but one of Sky’s British contingent are riding; Steve Cummings is still on the comeback trail from a bout of pneumonia in the spring, and is not taking part. You have to fancy their chances with nine riders in the race; only Rapha-Condor-Sharp and Motorpoint can match the number of starters, but they may find the 196.8km too much after focusing on criteriums recently. Mark Cavendish and Adam Blythe will ride without any team-mates, with Garmin-Cervélo duo Dan Lloyd and double winner Roger Hammond making up the list of WorldTour participants. David Millar decided not to race to cut back on travelling before the Tour de France. Geraint Thomas’ time as national champion has seen the Welshman come of age. He impressed during last year’s Tour, finished 10th in the Tour of Flanders, won his first professional race at the Bayern-Rundfahrt and then helped Bradley Wiggins take the Critérium du Dauphiné. Unsurprisingly, he has enjoyed his time in the coveted jersey. “It has been great being the national champion over the last 12 months – it’s like representing Great Britain in every race you are in,” he says. “It’s definitely been a pretty memorable 12 months and wearing the national champion’s jersey as well has made it even more special. With his one-day pedigree confirmed by his showings during the cobbled classics, Thomas is one of the big favourites for the victory. Responding to that, he said: “I’m obviously going to try my best to win it again but it’s going to be hard as it looks a bit of an easier course than last year so a lot more guys can race it. Totalling 196.8km (122.3 miles), distance is likely to rule several riders out of contention on Sunday. Upon leaving Stamfordham, situated around 15 miles to the north-west of Newcastle, the race uses the same roads as the Beaumont Trophy, the former Premier Calendar event which was won by Bradley Wiggins in 2009. It takes in three laps of a larger course that heads anti-clockwise and includes the straight but steep Ryals climbs and then four laps of a finishing circuit. The women’s race will be run over 64 miles, and consists of one lap of the Ryals circuit before the smaller lap is tackled three times. The Welshman has the form, the knowledge and the ability to win again. Wants to wear the jersey in the Tour this year too. Kennaugh has finished on the podium in the last three nationals, and has been an under 23 and junior champion before. Bitterly disappointed to finish second in 2010. With speculation mounting about a Tour start, Swift is more than a one-dimensional sprinter. He can climb surprisingly well and has shown this year he knows how to win races. Looking ahead to the race, Wiggins said: “It will be the first time I’ve ridden the nationals with so many guys from the same team as me. “It’s going to be a fun day and obviously the hope is that one of us can manage to win it. 2005 champion Downing is still recovering from a nasty crash in the final week of the Giro. A master at this level, he could well feature if he’s feeling OK. Speaking at Wednesday’s pre-Tour press conference in London, Cavendish declared that he had no chance of winning the nationals, and he is using the nationals as a good workout before the Tour. Even so, if Sky aren’t able to drop him, he’s the best sprinter in the race. No-one has won a hat-trick of national titles since the British League of Racing Cyclists (BLRC) and the National Cyclists’ Union (NCU) merged their races in 1959. Can 2003 and 2004 Hammond make history on Sunday? Best of the domestic riders in fifth last year, Richardson remains one of the top one-day racers in Britain and is specifically targeting the championships. Surprised many by winning the title in 2009. Could feature at some point on Sunday. Twice runner-up, Lloyd may find the opposition too hard to overcome. Best of the rest behind Sky in 2010, Hunt joined the team for this season and gives them another useful option. Premier Calendar leader Bibby won the Tour of the Reservoir last weekend so has the form. Eighth in 2010 and a former under 23 champion. Clarke is a engine who should be suited to the course. An under 23 national champion, Fleeman is aiming for a top ten but raced in Canada last week. Performed well during the Tour Series, can Partridge transfer that form to a five-hour race? 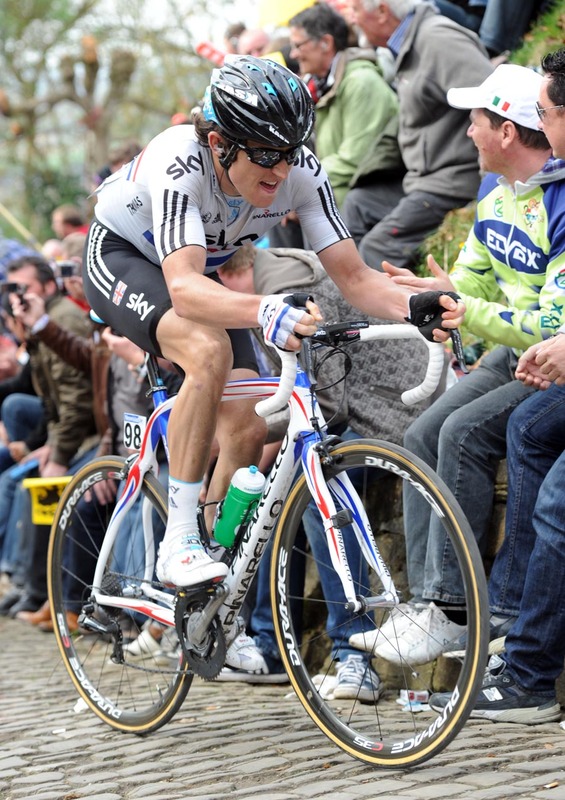 Hard-working Stannard took third in 2010 having worked hard for Thomas. Promising academy talent will be hopeful of impressing the top teams. ITV4 will be showing highlights of the race at 5pm on Saturday July 2, immediately following their live coverage of the Tour de France’s opening stage. The broadcast will be made available on their on-demand service, ITV Player, shortly after. Kicking off the action on the Northern Rock-sponsored Cyclone weekend is the hour-long Leazes Criterium, being held in Leazes Park (next to the St James’ Park football stadium) on Friday, June 24. Mark Cavendish was the first WorldTour rider to sign up for the race, and was followed this week by Roger Hammond, Alex Dowsett and Adam Blythe. The racing begins at 6.15pm with Go Ride Youth races, and the Elite action kicks off at 8pm, although poor weather will see that brought forward to 7.45pm. Having broken her collarbone in April, Emma Pooley‘s fitness appears to be good going into Sunday’s race, which gets the day’s action underway at 9am. She showed that improving form at the recent Emakumeen Bira last, winning the stage three time-trial and finishing fourth overall. Emotional after last year’s victory – Pooley’s first national road race title, which also ended Nicole Cooke‘s run of consecutive victories – Pooley is playing down her chances of victory. “It’s been an honour and something I’ve been very pleased to ride with it for a year. However, I’m not sure if I’m able to defend it. “My goal is the Giro (Donne, which starts on July 1). I’m not going to train specifically for the nationals,” added the Garmin-Cervélo rider. about her and her team-mates. of leader if her Garmin colleague stays true to her Giro goal. including Dani King, Helen Wyman, Sarah Storey and Jo Rowsell. Colclough (HTC-Highroad) and Natalie Creswick (Abus-Nutrixxion).